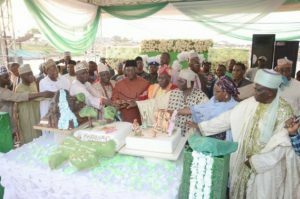 Adebayo extols landmarks of Kwara as state celebrates Golden Jubilee – Royal Times of Nigeria. Governor Ahmed, joined by dignitaries during the cutting of the special 50th anniversary cake. The President and founder, African Broadband Limited, owners of RoyalFM, RoyalTimes and RoyalTV online, Engineer Gbenga Adebayo, has congratulated Kwara state for a prosperous fifty-year existence and successful celebration of the state’s Golden Jubilee. Engineer Adebayo in a statement to felicitate with the government and people of Kwara, said the state has not only lived up to its appellation as a state of peace and harmony, but has been able to make developmental marks in various subdivisions. While congratulating the state Governor, Abdulfatah Ahmed for the feats achieved in his time, the business tycoon, also an indigene of the state, urged him and other leaders to double their commitment towards developmental strives in Kwara State. 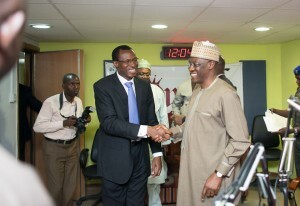 Applauding Governor Ahmed for declaring a tax holiday for new business outfits and investors coming into the state, Adebayo who also has a number of businesses located in the state, urged Kwara indigenes at home and in diaspora to support the government efforts by investing in the state, as only this can enhance rapid economic development. Drama in Senate over $3.8bn subsidy fund.